WASHINGTON, D.C. -- Federal health officials are taking a closer look at flavors in tobacco products that appeal to young people, particularly menthol-flavored cigarettes, which have escaped regulation despite nearly a decade of government scrutiny. The Food and Drug Administration issued a call Tuesday for more information about flavored cigars and electronic cigarettes, which currently have no flavor restrictions. Extra attention will fall on menthol, the only cigarette flavor permitted by Congress under the 2009 law that brought tobacco under FDA regulation. The FDA's past efforts to begin regulating the ingredient have been stalled by industry. Studies have shown the minty flavor appeals more to younger smokers. More than 50 percent of underage smokers reported smoking menthols in a government survey, compared with only 36 percent of adult smokers. "We need to take every effort to prevent kids from getting hooked on nicotine," FDA Commissioner Scott Gottlieb said in a statement. "For years we have recognized that flavors in these products appeal to kids and promote youth initiation." In 2011, an outside panel of experts recommended FDA ban menthol after concluding that it increases smoking among young people and minorities and makes it harder for them to quit. Cigarette makers successfully sued to stop the agency from using the findings, arguing that several panel members had undisclosed conflicts of interest. The FDA reached a similar conclusion about the harms of menthol in its own report in 2013, but did not take action. The new fact-finding effort will also consider whether flavors in electronic cigarettes and other vaping products might actually help adult smokers quit. Gottlieb emphasized that the agency must "consider all sides and take into account, among other things, the risks and benefits to the population as a whole." While some adults report using e-cigarettes to quit, there is little research showing such a benefit from the devices, which generally turn liquid nicotine into a vapor. 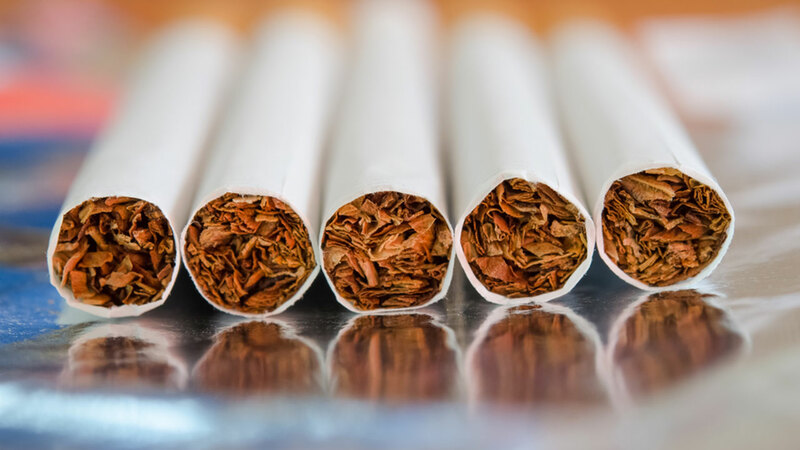 Tuesday's announcement is part of a multi-pronged FDA effort that could remake the tobacco industry in the U.S.
Last week, the FDA took the first step needed to drastically cut addictive nicotine in traditional cigarettes to make it easier for smokers to quit.